After a two year break, PCH is once again at the RCX. 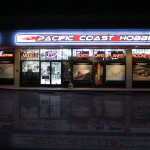 The PCH Crew set up a booth featuring products from Losi, Traxxas, Team Associated and Traxxas to name a few. The event as always was a huge success attracting crowds with the latest in RC. More picutres on our Flickr Photostream.